Historically, a hospital and chapel named St. James’ stood near to where the Hancock Museum building now stands in Newcastle. In 1542, the master of St. Mary's and St. James granted a lease of land and plots that extended to Castle Leazes. St. James Place was later built on the site and the area continued to develop to where the football ground now stands, featuring St. James Street, St. James Terrace and Leazes Terrace by the early 19th century. Fast-forward to that first match on the site in 1880 and it’s easy to see why the ground immediately became known as St. James’ Park. 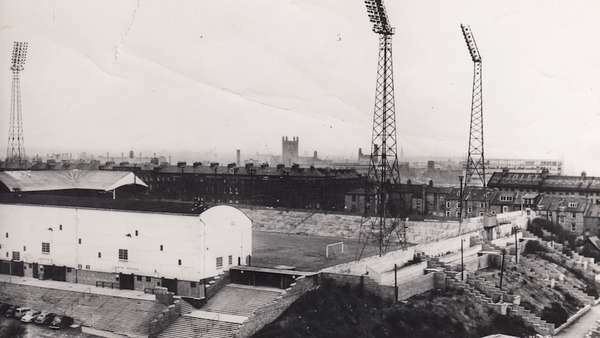 At either end of the ground now are the Leazes End and Gallowgate End - one named after the neighbouring Leazes Park and Leazes Terrace, and the other after the city's infamous gallows - last used in 1844. Our home’s connection with ‘the beautiful game’ precedes the birth of the club, with the first organised practice match on the site recorded as taking place in 1880 – a full 12 years before the official formation of Newcastle United. That game involved Newcastle Rangers, who moved north of the River Tyne after forming in 1878 and initially playing on the Drill Field in Gateshead. Newcastle Rangers moved again to Byker in 1882, returning in 1884 before folding. West End Football Club stepped in, taking up the tenancy two years later in 1886. United hosted a women's exhibition match at St. James' Park in April 1895. 8,000 people attended. 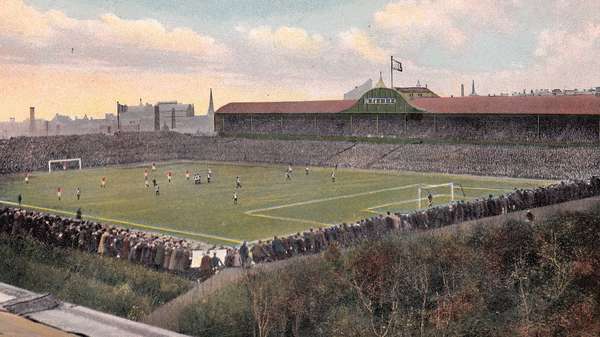 The city's heavyweight clubs, Newcastle East End and West End FC, merged and formally took up residence at St. James' Park in 1892 - finally becoming Newcastle United, and it was under the United banner in 1899 that the ground's first major development work took place. The capacity was set at 30,000 but just six years later in 1905, it was doubled to 60,000 with a state-of-the-art venue which even had a swimming pool. In the 1920s, the club had grand designs for a striking redevelopment by renowned architect Archibald Leitch. Examples of his work still remain to the present day at Everton's Goodison Park, Fulham's Craven Cottage and in the stunning brick facade of Rangers' Ibrox Stadium in Glasgow. Modest improvements were made in the early part of the decade before significant plans - includng covered stands on all four sides - was drawn up in 1926. However, moves to redevelop were mired in planning disputes and the project barely got off the ground. 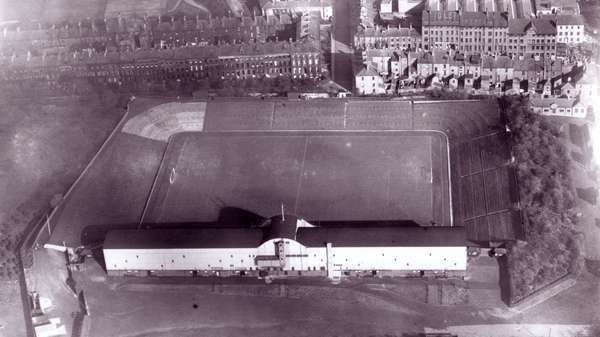 From grand plans, just a roof was installed on the Leazes Stand to the North end of the ground in 1930. The next significant change to the appearance of St. James' Park came more than two decades later, when floodlight pylons were erected. 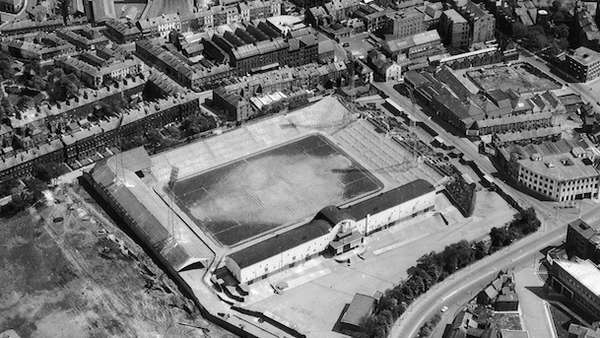 The first floodlit game at the stadium was in February 1953, with Celtic the visitors. Almost 42,000 fans flocked to the ground to witness the spectacle, in which Chilean international George Robledo scored twice to give the Magpies a 2-0 win. It would be three years later - in February 1956 - that the first floodlit game would take place in the Football League. United were again involved that day, visiting Portsmouth's Fratton Park. The floodlights at St. James' Park were upgraded significantly in 1958, when United paid £40,000 for four 190ft pylons. They were the biggest and best in Britain at the time and the city's skyline had a striking new feature. After United's cup-winning exploits of the 1950s, the sixties would be a frustrating time for both the club and the football-loving public of Tyneside. The city missed out on hosting World Cup matches in 1966 when - in the years leading up to the competition - planning difficulties stunted the ground's development on several occasions. Instead, World Cup fixtures went to Middlesbrough's Ayresome Park. United considered moving but in 1971, they had a breakthrough. 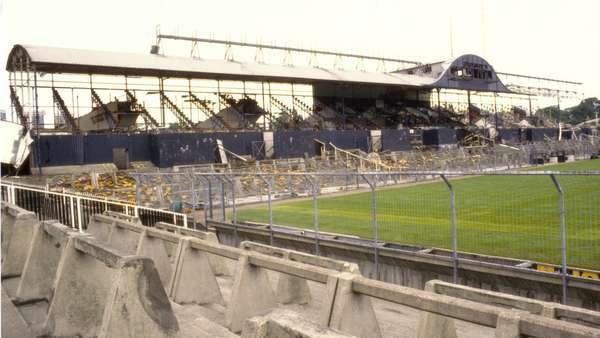 More than 50 years since the stadium's last major redevelopment, intervention by the then Minister for Sport, Denis Howell - a former FA referee - saw plans for new stands passed, costing £1m over ten years depending on finances. Construction on phase one - a new 'East Stand' to replace the Popular Side terrace - began in 1972. However, recession hit and the club's finances were dented severely. The East Stand would be the only phase completed. Five years later, the Leazes End was demolished - only for relegation at the end of the 1977/78 season to scupper plans to rebuild it. While the Leazes End went uncovered - matching the opposite Gallowgate End, the main West Stand continued to be the mainstay of St. James' Park until shortly after the tragic fire at Bradford City's Valley Parade in May 1985, in which 56 people lost their lives. The Edwardian structure was identified as a potential risk to public safety and in 1987, it was finally pulled down after 82 years of service. In its place, the club built the new 'Milburn Stand' - named after legendary number 9, Jackie Milburn. 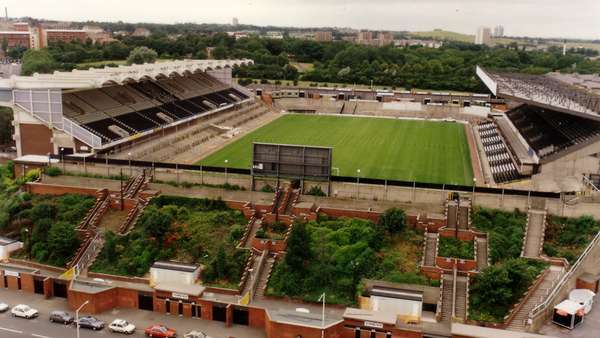 A smart, two-tiered structure, it featured seats in the upper section and a paddock for supporters to stand in the lower section and was opened in 1988. 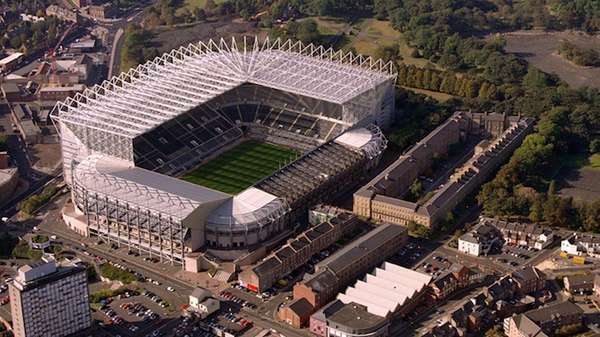 The most seismic change to the appearance of St. James' Park was yet to come. In 1992, Sir John Hall became the club's chairman and with Kevin Keegan as manager, spectacular change was achieved on and off the pitch. The club built the 'Sir John Hall Stand' at the Leazes End of the ground in 1993 and continued the overhaul by filling in the corners. By the time of Euro '96, the club had a first-class all-seater stadium with a capacity of 36,610. Newcastle would not miss out on an international tournament as it had 30 years earlier. Under Sir John Hall and with 'The Entertainers' era in full swing, imaginations on Tyneside knew no bounds and yet more development work was planned. Sir John proposed a new multi-million pound arena for the city's sports teams in the adjacent Leazes Park, however plans were withdrawn following political debate and local objections to construction on the protected Town Moor. 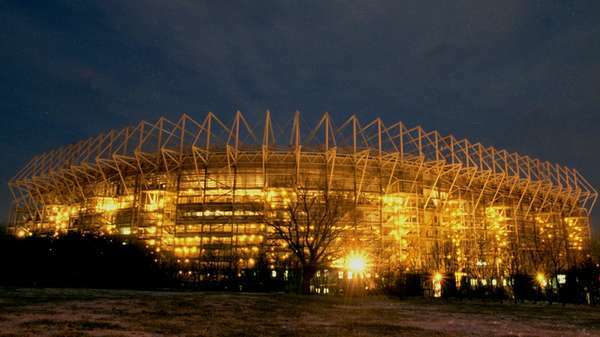 Instead, as Sir John stepped aside and Freddy Shepherd took the reigns in 1997, the club stayed at St. James' Park and pressed ahead with impressive expansion plans - which were given the green light in July 1998. Construction was completed in 2000, at a reported cost of £43m. The redevelopment took the stadium's seating capacity north of 52,000 and gave St. James' Park the famous silhouette we know today. Since, modernisation has continued around the ground, helping to maintain St. James' Park's reputation as one of the greatest arenas in world football. First game of football; a Newcastle Rangers practice match. Newcastle West End take up residence. First wooden boards laid as terracing. Newcastle East End (shortly to be Newcastle United) take over the lease. Major development work is undertaken; capacity set at 30,000. Complete redevelopment takes place increasing the capacity to over 60,000. Leazes End terrace roof erected. Floodlights used for the first time against Glasgow Celtic. Redevelopment blocked and 1966 World Cup matches are lost to Ayresome Park. The Leazes Terrace stand – the East Stand – constructed. 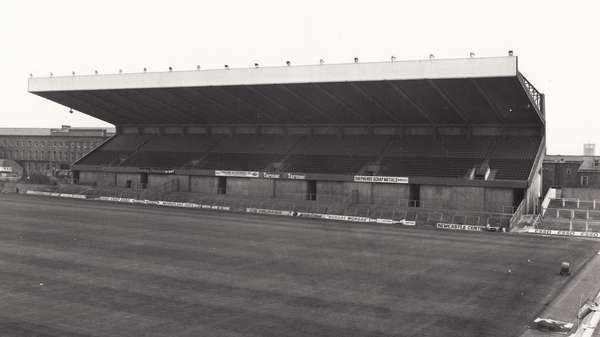 United’s kop – the Leazes End – is demolished to make way for a new stand. The Edwardian West Stand is condemned and the Milburn Stand is built in its place. The Sir John Hall Stand at the Leazes End is opened. The modern Gallowgate End is constructed. Redevelopment plans for an all-seater stadium are completed at a capacity of 36,518. United plan a new 65,000 stadium at Castle Leazes, but fail to win planning permission. 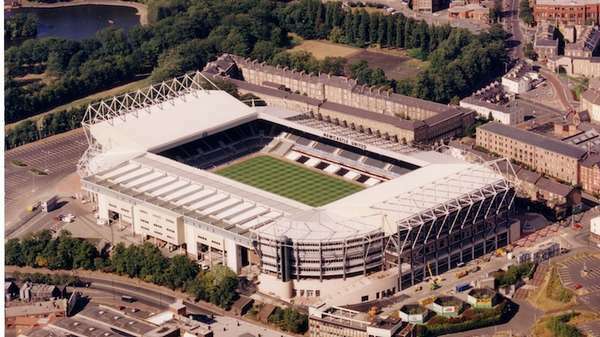 St. James' Park is increased in capacity to over 52,000 by enlarging the Milburn and Leazes stands.